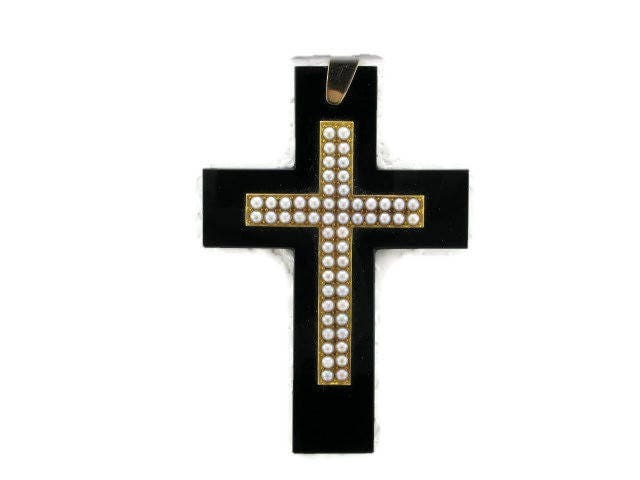 This cross is stunning! 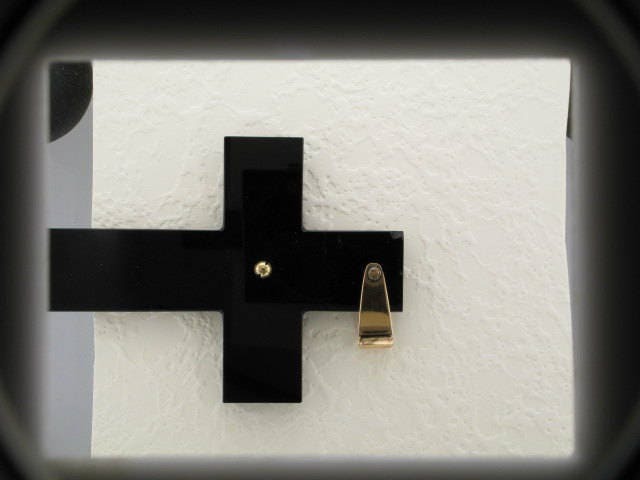 Composed of black onyx and inset with pearls and 14 karat yellow gold the cross measures approximately 3-1/2 inches in length without the bale. With the bail it measures approximately 4-1/4 inches in length. As stupendous as the cross is, there are a few little chips…I have tried as best I could to get them photographed, but because it was black onyx I'm not sure they are showing up real well. On the front of the clasp at the top of the cross, hidden by the bale there is a small chip…the left side, bottom part of the cross there is a very minuscule chip that is super hard to see from the front. 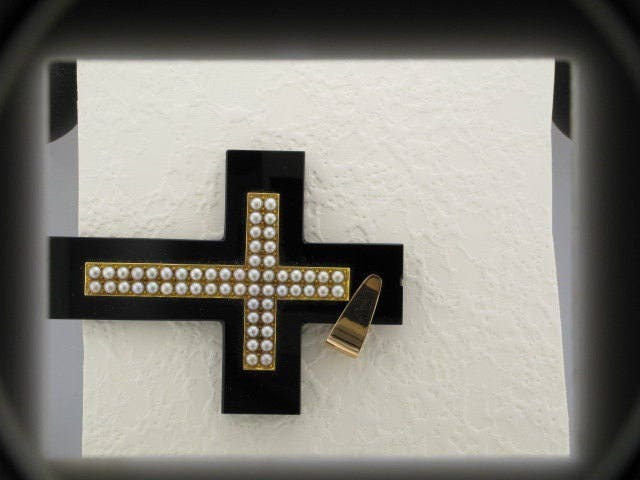 The back side of the cross has a small-medium size chip at the top on the left side. There are a few wear nicks on the back as well. The pearls set in 14 karat yellow gold on the front of the cross are all in very good condition. Circa: 1870's Please note postage includes insurance.